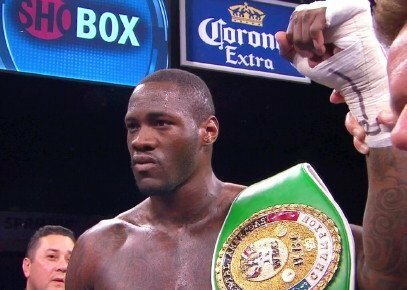 Fans have been wanting to see exciting KO artist Deontay Wilder take a step up in competition for some time now, and it looks as though these fans will get what they want this coming March. According to a news piece in The Tuscaloosa News, the 30-0(30) heavyweight contender will face the world ranked and highly skilled Malik Scott on March 15th. Wanting to know more, I contacted Malik Scott, who improved to 36-1-1(13) last night with a rust-removing 2nd-round TKO over Grover Young. The win over Young was Scott’s first fight back since his controversial (counted out in the act of rising and appearing to be up before the count of “ten” in the 6th-round) fight with Dereck Chisora at Wembley. And Scott did confirm to me that he is all set to fight his friend Wilder next. “Thanks, Bro – yes it’s me and Wilder, baby!” was the message Malik sent me via Facebook. So, it seems there is a great chance this intriguing clash will take place. And who wins when it does happen? Wilder has blown away everything in his path, yet he has yet to be taken past the 4th-round. Scott lost his biggest fight against Chisora yet he was boxing well before the sudden ending and he has undeniable skills. Having the potential to be a classic Boxer Vs. Puncher contest, fans will want to see which comes out on top. Can Scott stand up to Wilder’s power? Will Scott outbox Wilder? Can Scott test Wilder’s chin? These questions and more could well be answered in March. According to The Tuscaloosa News, the fight is expected to go out on Showtime on March 15th.